At our firm, we are committed to working diligently to obtain the best results for our clients who have been injured because of the negligent actions of another. We handle each case with the dedication and personal attention necessary to ensure that our clients get compensated for their pain and loss. 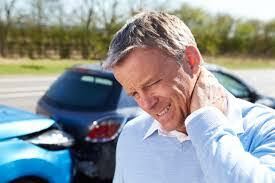 Personal injuries resulting from car, motorcycle, or auto accidents can cause a great deal of physical, emotional, and financial damage. Laws exist in order to provide a way to compensate those injured in such accidents caused by the negligence of another. For a free consultation please contact our office. We never charge fees or costs unless we recover on your behalf. Remember that the insurance companies and car insurance adjusters do not have your best interests in mind. For this reason alone it is important that you obtain an attorney who is willing to take the time to go the extra mile for you and ensure that you are compensated.